CarFax is a company that provides the most comprehensive vehicle history reports available. CarFax reports include ICBC data and can include repairs covered by private insurers or repair estimates done without an insurance claim having been filed. Using the Internet to search by the VIN or Vehicle Identification Number, CarFax can supply a complete vehicle history. Additionally, a free VIN decoder is available on their website. The report you receive from CarFax will include up to the minute details on the vehicle, details on cross Canada liens, registration, accident data, and Canadian and US history available in both English and French. Final Word: The full report from CarFax is around $75 and includes all of the details listed above. It is the most comprehensive option by far and leaves nothing left to chance. For vehicles that have always been registered in BC, a damage enquiry from ICBC will provide the history of the vehicle, including most accidents. Records are available for $20 plus GST through ICBC (1-800-464-5050) or online here. You’ll need the vehicle identification number or VIN, the make, model and year. Rebuilt Status: This vehicle was previously written off as a salvaged vehicle (see below) and has been rebuilt and re-inspected for use again on the roads. Altered Status: Altered status is given to a vehicle that has been significantly modified after its manufacture. It is also used for homemade and some other constructed vehicles to indicate that they have been inspected and are structurally sound. The status is added after the vehicle passes inspection. Salvaged Status: A vehicle that has been written off as a “total loss” by an insurance company, is unsafe to drive, but is repairable and can be driven after re-inspection. Final Word: The ICBC Vehicle Claims History Report costs $20 and includes all of the details above but does not include cross boarder history and cross Canada liens. A very good starting point for an economical way to get a quick car history. 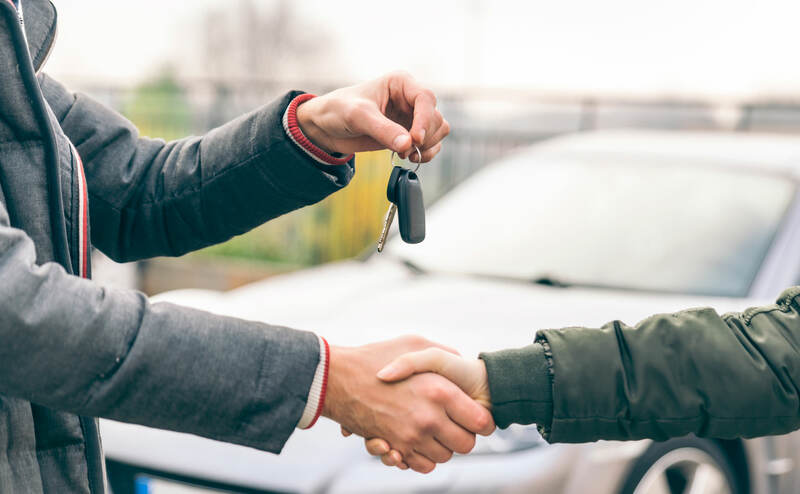 The Vehicle Claims History Report is a free ICBC online service that will tell you the vehicle title status: salvage, altered, rebuilt or normal. This report provides very limited information about the vehicle. This can be found through the ICBC website right here. This only gives you the title status, but might be all you need if you are buying something short term or as a very inexpensive second vehicle. Final Word: This is free so it doesn’t hurt as a first step. You may choose to get the title status for free using the ICBC Vehicle Claims History Report then use that information to help guide your choice of the paid options above. As always, the more you know the better. If you get a report from one of these sources and you need any help interpreting it, please feel free to give us a call or drop by the shop. We would be happy to help you make an informed purchase.